Thanks to machine learning and big data, the accuracy and scope of search engines like Google, Bing, and Pinterest increase literally every day. However, neither Google nor Bing nor Pinterest can read your mind — at least not yet. So, when you want to look up something but you don’t know what to call it, you have to get creative. You cross your fingers and hope that the description you’re typing into the search bar matches up to the way that other humans would describe it, too. Fortunately, for consumers and retailers, alike, there’s a way around the limitations of text-based searching. It’s called visual search technology. Unlike a text query, with visual search, the consumer initiates the search using a photo, screenshot, or other digital image. The search engine then applies artificial intelligence (AI) and machine learning to not just identify but understand the content of the image and populate a list of similar results. While a few different brands have launched their own visual search technologies, Pinterest is currently the industry leader. Here’s everything you need to know about Pinterest visual search so you can revamp your Pinterest Marketing for a more holistic search strategy. Pinterest has three primary visual search technologies. The first tool launched gives users the ability to zoom in on specific objects within a Pinterest Pin and find additional, visually-similar Pins. “There are dozens of interesting items within a Pin’s image; we want to give Pinners a tool to learn more about these items,” said Andrew Zhai, Software Engineer at Pinterest. According to Zhai, the technology “optimize[s] on visual similarity, not just duplicates” in order to serve Pinners exact results as well as unexpected results that are similar in design. The second visual search technology, Pinterest Lens, is a feature within the Pinterest mobile app. 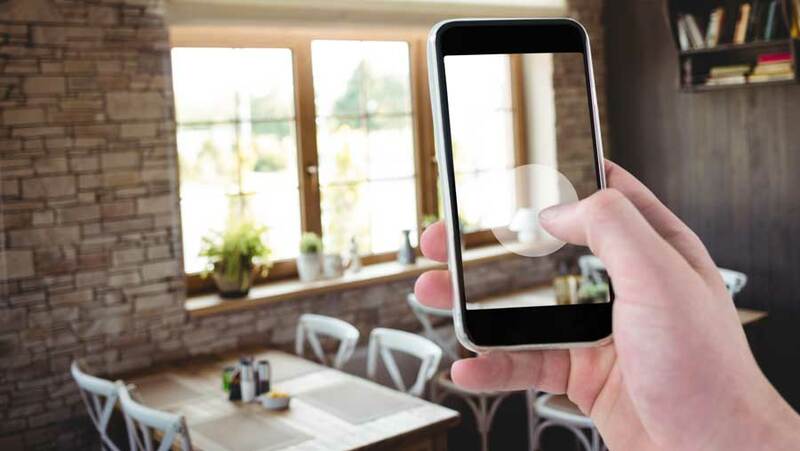 It enables consumers to start a search by pointing their smartphone camera at an object and then tapping the screen to initiate a search for images with similar or complementary objects and color schemes. And last, but not least, Pinterest expanded its browser extension to allow consumers to use the same zoom-in visual search technology on any image on any website – no longer limiting this feature to Pinterest Pins alone. Nine out of 10 Pinterest users say Pinterest helps them decide what to buy. Nearly ¾ claim Pinterest inspires them to shop even when they aren’t actively looking for anything. 70% regularly discover new products on Pinterest, and 66% report buying something after seeing a brand’s Pins. Pinterest drives 33% more referral traffic to shopping sites than Facebook and 200% more than Twitter. If that still isn’t enough to convince you, consider this: a year after the release of their Lens technology, Pinterest reported monthly visual searches across all three tools totaled 600 million — an astounding 140% year-over-year increase. High-quality product photography is essential for ecommerce companies; more than 80% of consumers say product photos have the greatest influence on their purchase decisions. And, of course, product imagery is especially crucial for brands who want to leverage Pinterest visual search. But it isn’t enough to have three or four shots of each product at different angles. One of the biggest benefits of using Pinterest visual search for marketing is the ability to capture the attention of shoppers at different stages of the purchasing funnel. High-res photos of the product on a plain white background are perfect for consumers that are actively looking to buy. But those types of images are less likely to resonate with shoppers who are casually browsing for ideas and not necessarily interested in making a purchase. What’s more likely to catch the eye of shoppers who are in earlier stages of the customer journey is seeing the product in a real-world situation. For example, a home decor retailer could include a photo of one of its lamps on a side table in a living room, a few of its throw pillows on a couch, or a set of its planters on a windowsill. Because lifestyle photos like these contain more elements and, in turn, more colors, patterns, and shapes, they can be matched to a wider range of visual searches. Thus, not only can you reach a larger audience, but you can also create cross-selling opportunities by including multiple complementary products in the same photo. Pro Tip: To see what kind of details your lifestyle photos need, go to Pinterest and perform a search for your product. In the example below, I searched for “outdoor rug.” Under the search bar, Pinterest will display suggested keyword modifiers, to give you a sense of what Pinterest users are searching for. The additional descriptors can help give retailers guidance on the types of scenes, backdrops and complimentary objects to use in their lifestyle photos. In the example, you’ll see that Pinterest suggests “on deck” as one of the keyword modifiers for my query. Given the popularity of deck-related outdoor rug searches, I would create a lifestyle image of my rug on a deck to increase my chances of matching to image searches related to outdoor rugs. The digital marketing community has been all abuzz lately about how voice search is changing the game with lengthier, more descriptive search queries compared to traditional search. But, as they say, a picture is worth 1000 words! Visual searches convey more information than text searches can convey about what a user is really looking for, which can mean better, higher engagement and conversion rates for retailers.